MARQUETTE– They say winter comes in like a lion, and out like a lamb. Apparently in the UP, spring comes in like an angry bear. 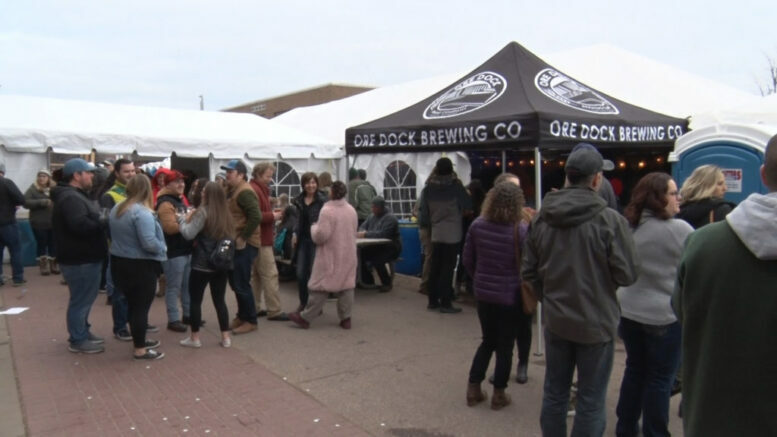 The Ore Dock Brewing Company kicked off spring with its 6th annual Festival of the Angry Bear, with live music in multiple large tent venues, to say goodbye to winter. The Festival of the Angry Bear focused this year on sustainability, with reusable cups and metal mugs being available for refills. The festival also featured the Angry Bear beer, which is brewed and stored in wooden barrels for a full year. This specialty beer won’t be available again until next year’s festival.